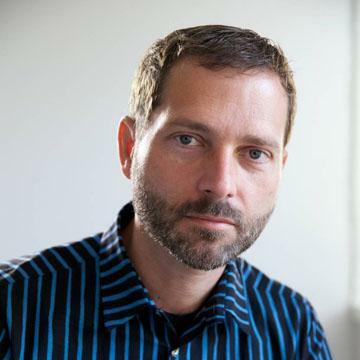 We’ve partnered up with Asymco to bring you an exclusive $25 credit for new users. Just sign up through this link. SaneBox is like a super-smart assistant who’s been with you for years and knows what’s important to you. It moves unimportant emails from the inbox into a new folder and summarizes them in a digest, where you can quickly bulk-process them. 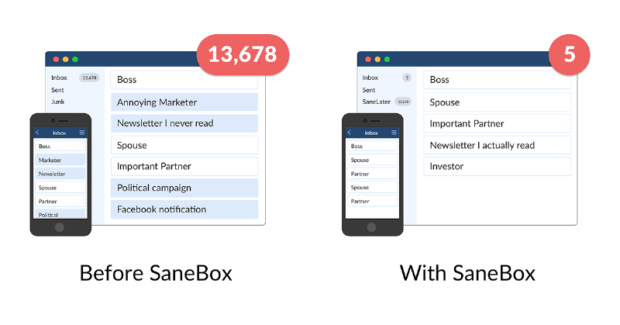 An average SaneBox customer saves 12+ hours/month. We know the story so far. Newspapers controlled distribution, allowing them to bundle content with ads to form a lucrative business. Then Google modularized and commoditized content and moved the profits elsewhere in the value chain by bundling search results with ads. For one slice of the web — high quality professional content — the discovery method is no longer the hardest thing. Trust is. Discovery is modularized into search, social, newsletters, rss, apps, or directly visiting the trusted source. 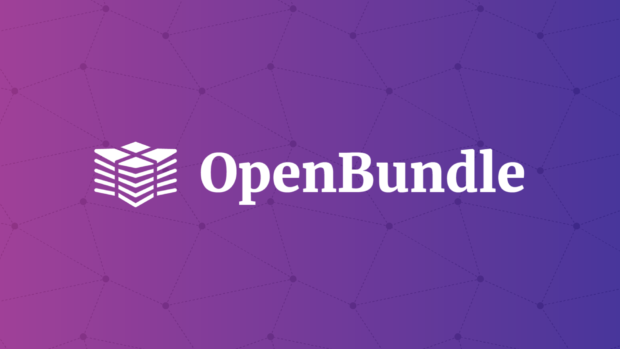 OpenBundle integrates trusted sources with a subscription tool, taking the power back. Consumers get credentials to 9 publications of their choosing for one subscription, and publishers take advantage of bundle economics without a middleman, and take back the role of delivering their own content. If you run a publication with a paywall, please reach out at openbundle.io. We’re forming our launch cohort and would love to tell you about it. SaneBox is a smart email filter that brings sanity back to your inbox by prioritizing what’s important, removing spam & junk, grouping newsletters together, and automating tedious tasks. It moves unimportant emails from the inbox into a new folder and summarizes them in a digest, where you can quickly bulk-process them. 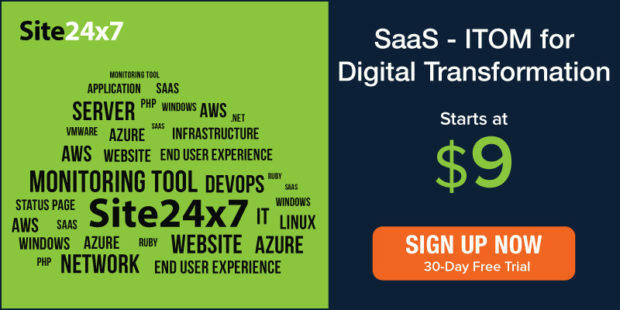 An average SaneBox customer saves 12+ hours/month. Sponsor: ​Popular email extension Mailbutler becomes available for Gmail! 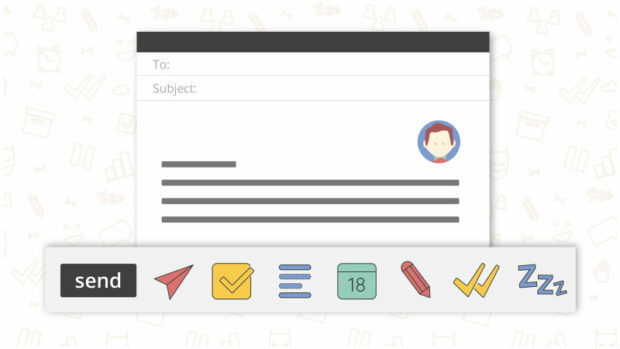 Mailbutler, the leading productivity enhancing email software, which has already conquered Apple Mail, has now become available for Gmail, too. Mailbutler users are able to process emails faster and more effectively, saving hours a day for other tasks. The brand new version, Mailbutler 2.0, has some exciting changes, and is now available as a public beta. Learn more and test it yourself! Sponsor: SaneBox. Clean up your inbox today in minutes! Sponsor: Too much going on? Email reminders will help! If you feel overwhelmed with constant multitasking, it’s time for you to check out MailButler. It’s a multifunctional email extension, time-saver, and productivity game changer. With MailButler you can compose emails beforehand and schedule them to be sent later. It’s a good solution for planning birthday greetings for the entire year in advance and getting them off your mind. Also, you might want to avoid forgetting about some of the open conversations you’ve started. Once you’ve written your email, just tell MailButler when you want to be reminded to follow up, and the notification will appear at your preferred date and time. By the way, MailButler can do much more than just that. It adds lacking functionality to your Apple Mail while keeping its native interface. Using various features you will be able to process your emails faster and more effectively, saving hours a day to complete other tasks. 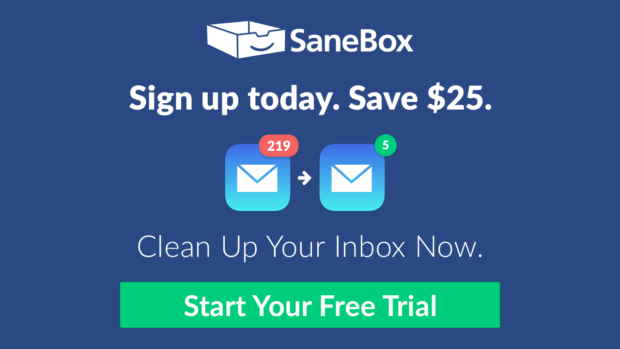 SaneBox has partnered up with Asymco to bring you an exclusive $25 credit for new users. Just sign up through this link. SaneAttachments – Automatically upload attachments to Dropbox, etc.